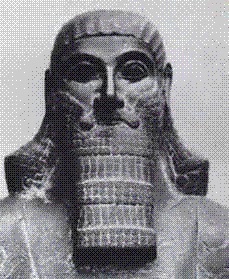 Ashurbanipal - The last of the powerful kings of Assyria. However, unlike Tiglath-Pileser III and Sennacherib, he played only a small role in Israel's history, being mentioned by name only once (Ezra 4:10). Although he is probably also the unnamed Assyrian king in II Chronicles 33:11.